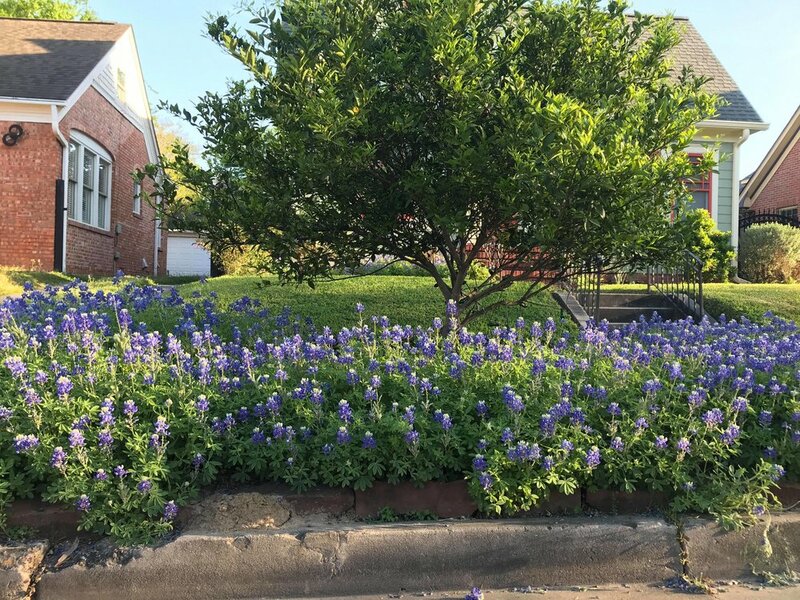 You can’t miss the burst of bluebonnets at 919 Ridge, home to Amy, Chris and Nathan Boyers. Bluebonnets here have been an annual occurrence for many years. 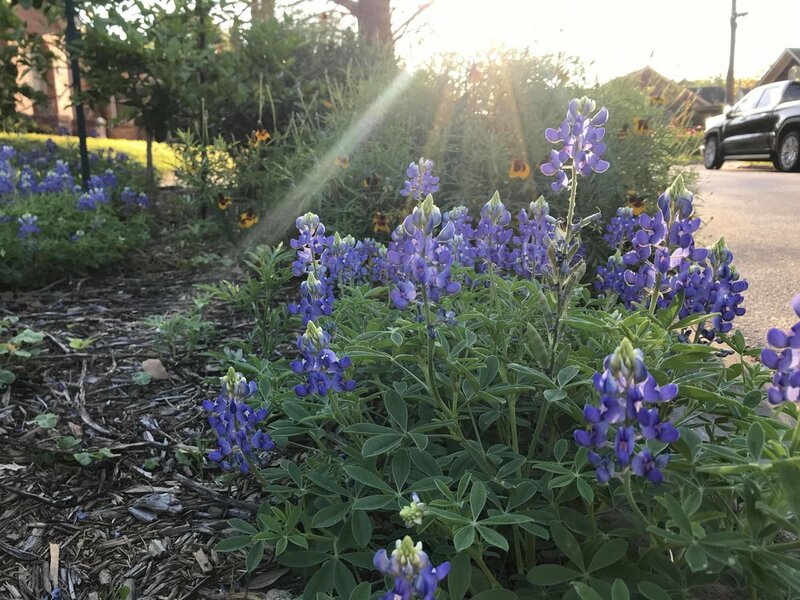 Every year, bluebonnets drop seeds to produce plants for the following spring. In 1938, Lorene and Herbert Smith purchased the new home and raised their two children there. 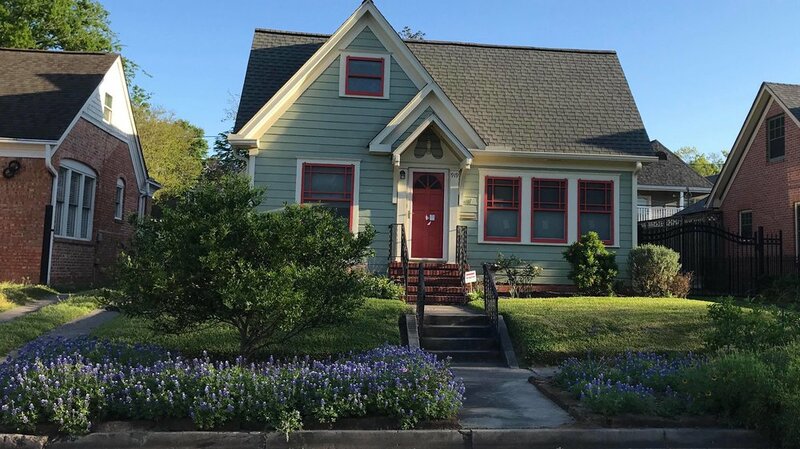 Mrs. Smith always loved gardening and sowed bluebonnet seeds near the crepe myrtles by the street. After Mrs. Smith passed away in 2004, Mrs. Smith's granddaughter, Amy, and Chris bought the house from Amy's father. 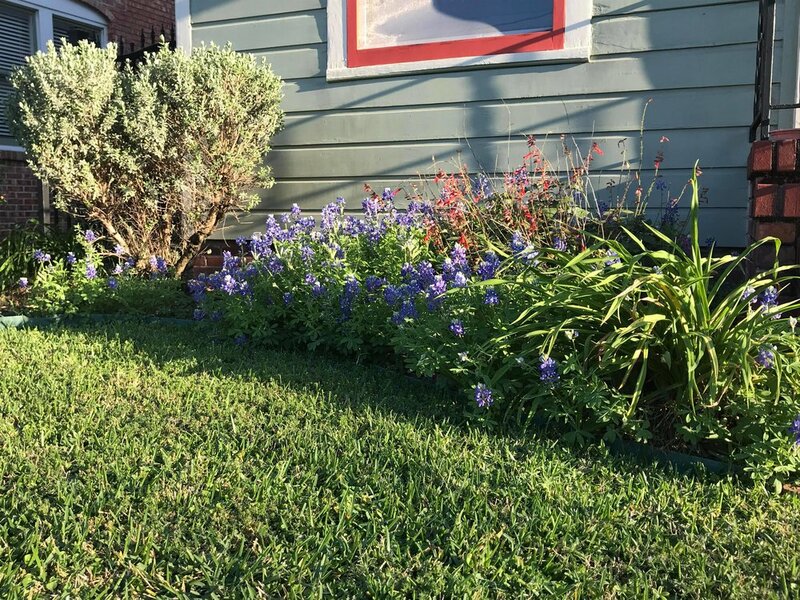 The Boyers have looked forward to the annual bluebonnets every year since. 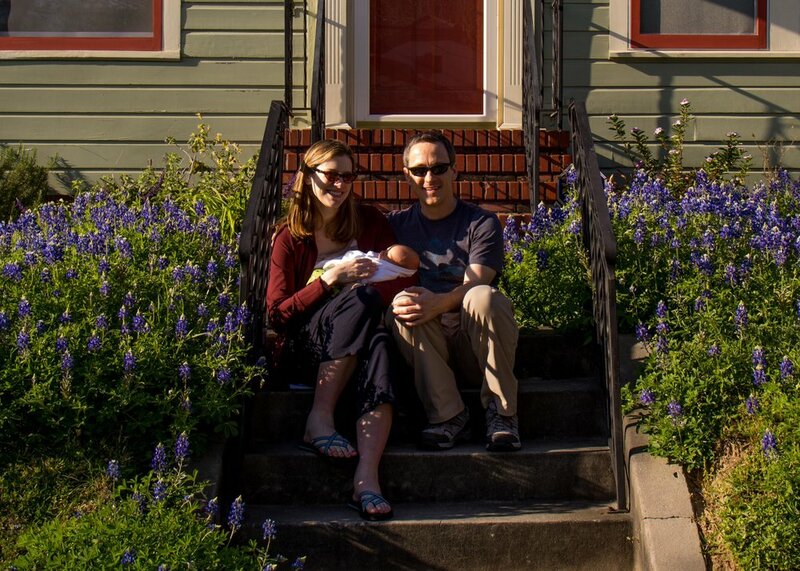 In 2013, Chris and Amy’s son was born in the midst of a bumper crop year of bluebonnets. Four generations of one family have lived in this house, so it has so many special memories. One memory is being entertained by the families that plop their kids among the flowers for bluebonnet pictures. The Boyers enjoy sharing the happiness from the bluebonnets with neighbors. The rest of the landscaping, installed and maintained by the family, is a mix of natives and low-water plants. They are also experimenting with citrus trees, which have replaced the crepe myrtles planted years ago. Amy held on to several of Mrs. Smith’s roses, day lilies and Easter lilies, which begin blooming once the wildflowers begin to fade. 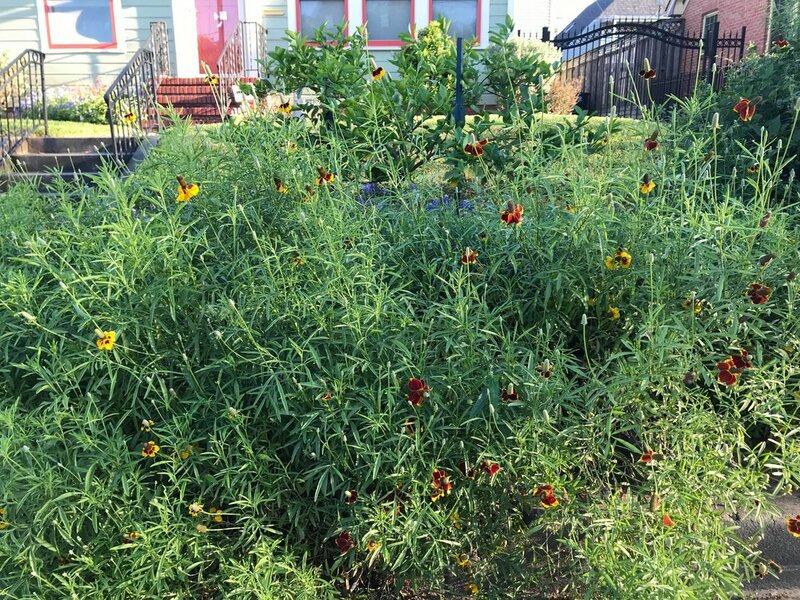 While their poppies didn't bloom this year, their seeds have blown across the street, sharing, as neighbors do, and are on full display. And bluebonnet volunteers can be found in other nearby yards. It's a beautiful legacy that the Smith and Boyers families carry through generations, and our neighborhood is made lovelier for it.